Hello and welcome to the 13th episode of the binary today.com podcast. This podcast is extremely important to me because it allows me to reach out to you personally to discuss more complex features of the binary options marketplace that is more difficult to voice in my day-to-day articles and reviews. Let’s start today, by taking a look at how my personal trading is going. If you read my income reports you will see that everything is going quite well, because I continue to have winning months, and that’s my main goal. Right now my focus is on the binary strategy software, the binary today 5 software and the binary today trader software. All 3 of these systems provide me with binary options signals on a daily basis. This is a very simple approach, that I recommend to all of my readers. I’ve seen one recent review, and I don’t want these podcast to come across as a direct advertisement, but you have to understand that the basis of this podcast is me explaining what I’m using right now to win trades. In my discussions with the readers here at binary today, they’ve also told me that this is what they are interested in hearing about. The one system I use the most throughout each month is binary strategy. This signal system provides 2 types of trading signals, valor and spirit. Out of the 2 systems, the valor signals are more accurate, but the spirit signals come more frequently. Some traders, especially new traders will trade exclusively the valor signals, but I recommend using both types of signals at all times because they are both high quality, and add to any binary options trading approach. After receiving a trade I don’t feel like my work is completely done. While I do very little analysis in 2018, I still do rely on the trade assistant which is built into the binary options software and shows you whether or not an incoming signal should be traded or not. This is a very easy mechanism to utilize, and I do believe that it’s a good idea to take advantage, considering that it is already part of the software. The binary options marketplace is looking very different in 2018. I’m sure you’ve noticed that many of the binary options trading systems that were flooding the market are starting to disappear. There are certainly much less sharks in the water as both binary options brokers and software providers are becoming much more reputable. I’ve found that many of the Internet marketers that were looking for a quick buck in the binary options market have fled to crypto currency and bit coin. There is always a segment of people that are looking for easy opportunity, and easy money. For a long time, that was the binary options market, but it doesn’t seem to be the case anymore. As far as I’m concerned, this is perfect for us. With less people trying to take our money, and only the real traders sticking around, the binary options market is going to strengthen over the next few years, I’m sure of that. Today there are 2 questions from binary today readers, and while these questions are frequently asked, I still believe it’s important to answer them again. I do not believe that there is a single automated binary options system in this market that has been able to produce profits over a long period of time. There isn’t a single automated system that is able to provide us with trading results, or real client feedback. 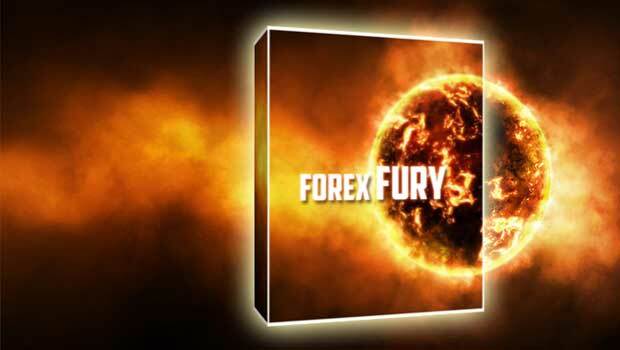 If you’re really interested in automated trading, I recommend that you look at Forex Fury, or Forex Steam. These are two fully automated products, in a different, but more reputable market. My answer to this question is very similar to my aunt to the last one. No. In my experience, I found that the lowest expiry time worth utilizing is the 5 minute expiry. Any other expiry time below this is such a gamble, because you just can’t predict market movements that small. Maybe there is somebody out there that can, but I’ve never heard for them, nor have I seen them in action. Thank you for listening to the 13th edition of the binary today.com podcast. I hope that you have gathered some useful information from this that you can take to your personal trading. Have a wonderful day, and go win some trades.